Gorgeous Home in the Heart of Natomas with Amazing Remodel & Updates Throughout. Great Room Concept Boasts Huge Dining Area w/ Bright Recessed Lights and Spacious Living Room w/ Vaulted Ceiling & Cozy Wood Burning Fireplace. Open Kitchen Includes Beautiful Wood Cabinets, Granite Countertops & Stainless Steel Double Sink & Appliances. Lovely 25 Year Warrantied Laminate Flooring, Dual Pane Windows, New Doors, Baseboards & Fresh Paint Throughout. Convenient Inside Laundry Room & Lots of Storage. Large Master Bedroom w/ Double Closets & Extra Wide Shower Includes Slider to Private Backyard Patio. Front & Back Yards Contain Multiple Peaceful Sitting Areas with Adorable Landscaping & Flowerbeds for Gardens or Your Favorite Plants. 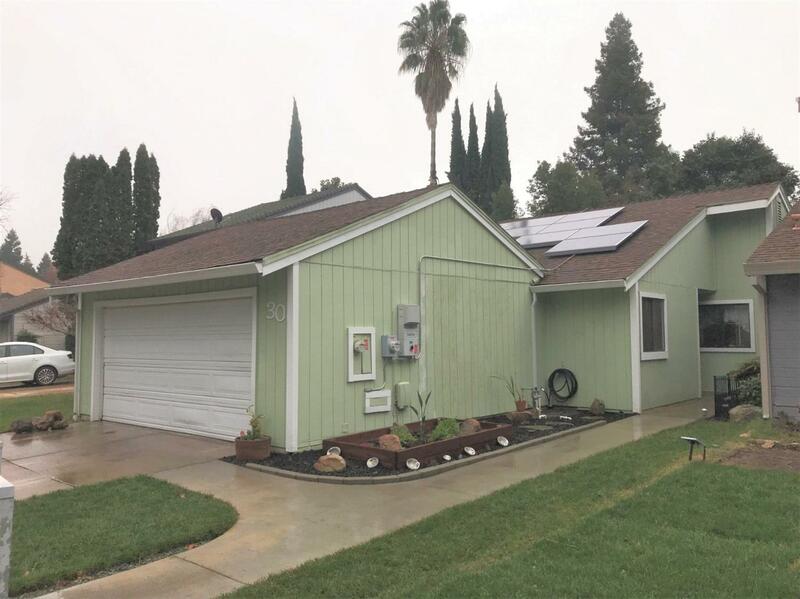 Newer Bonus Solar Panels Included for Huge Saving on Heating & Electric Bills! Must See this Adorable Home Ready & Waiting for You to Just Move Right In! FHA & VA Buyers Welcome!